When you have no choice but to leave the den and brave the weather, this coat by American Widgeon will keep your bear cub snuggly warm with its soft faux fur lining and outer shell. 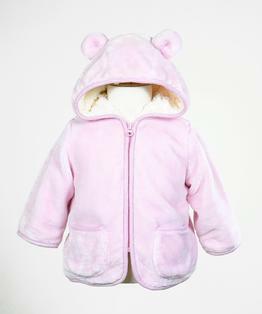 The simple design has a hood adorned with bear cub ears and two front pockets for treasures. Mamma Bear approved for snuggly soft cuddles and cuteness. Available in Baby Blue and Baby Pink. 100% Polyester. 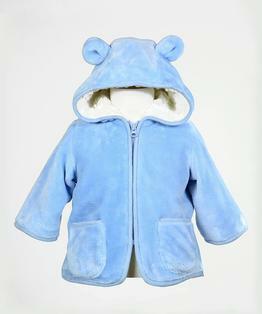 Machine WashableZip Front Jacket with Ears. Size Newborn - 24 months.